Not that it’s a completely new development: Sustainable efforts have been part of the industry for decades, and environmental concerns have been front and center for many people ever since becoming central to 1960s counterculture activism. Global awareness of environmental issues increased significantly in the early 1990s, triggering such significant global events as Earth Summit in Rio de Janeiro in 1992, COP 1 in 1995, Kyoto Protocol in 1996 and United Nations Global Compact in 2000. A defined grass-roots movement toward sustainability in the meetings and events industry began to form around 15 years ago, led by many event professionals around the world, including Amy Spatrisano and Nancy Zavada, founders of Green Meetings Industry Council. The movement has grown beyond almost everyone’s expectations. 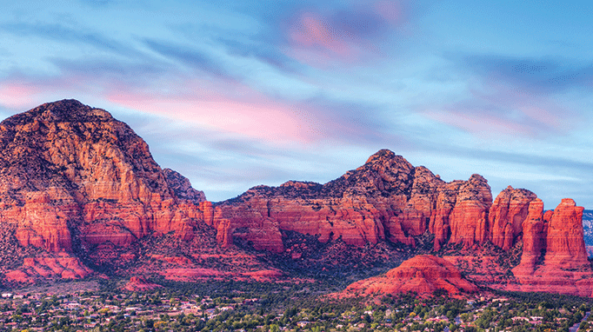 “Over the years, the concepts about sustainability have evolved in two ways,” says Karen Kotowski, CAE, CMP, and the CEO of Convention Industry Council. “First, we’ve adopted a broader scope for what is meant by sustainable practices. Originally, the major focus was on improving our environmental impact, particularly around waste diversion and carbon emissions. Now, we’re seeing a wider range of environmental issues being addressed, as well as social impacts of events and the role we can play in strengthening communities where we hold meetings and in our supply chains. The way in which environmental issues are being addressed has been increasingly enhanced. Recycling and other basic efforts remain important, and along the way green roofs, water collection efforts and solar energy production have been added. Many properties now provide an impressive array of traditional and cutting-edge sustainable features, and some truly stand out. Here is a glimpse at a few hotels and resorts that have become particularly renowned for their efforts. This was the first Central California property to receive U.S. Green Building Council LEED certification. By using alternative energy sources such as solar power, the hotel has been able to save energy and greatly reduce its environmental impact. Highlights at the waterfront property include producing hot water with cogeneration, which simultaneously generates electricity onsite; bathrooms with low-flow faucets, shower heads, toilets and urinals, reducing indoor water consumption; an ozone laundry system with enzyme-based laundry detergents for cleaning linens and towels; and landscaping featuring native and drought tolerant vegetation and drip irrigation controlled by weather conditions. Most recently, Portola Hotel & Spa at Monterey Bay completed the conversion of its conventional pool heating system to a Suntrek solar heater. This will enable the property to save thousands of dollars each year and reduce its energy consumption. Located next to Monterey Conference Center, Portola provides 379 guest rooms, along with 50,000 sq. ft. of indoor meeting space and 60,000 sq. ft. of outdoor space. A luxury lifestyle property situated in the heart of downtown, Hyatt at Olive 8 Seattle was the city’s first LEED certified hotel. Located on the lower floors of an urban condo complex, it showcases innovative energy and water-saving features. The 346 guest rooms include walk-in showers with low-flow plumbing fixtures, to save water without sacrificing water pressure. Urbane Restaurant and Lounge serves farm-to-table dishes inspired by the culinary spoils of the Pacific Northwest. Elia Spa offers skin and body treatments using organic products from regional growers. The eight eco-friendly meeting areas collectively provide 12,000 sq. ft. of space. “We offer the opportunity for socially conscious companies and groups to book special green meetings with locally sourced menus, recycled paper materials, filtered water service and more,” says David Martinez, director of sales and marketing. This authentic yet refined mountain retreat is situated less than five minutes from Main Street in Park City, Utah. World-famous as a ski resort, it was the first LEED certified resort in the state. Montage Deer Valley has adopted green practices including diversion of more than 80 percent of generated construction waste from local landfills, utilization of regional and recycled materials, implementation of energy- and water-efficient equipment and fixtures, and green housekeeping, purchasing and landscaping. The property offers 220 guest rooms and 25,000 sq. ft. of indoor meeting space and 35,000 sq. ft. of outdoor space. 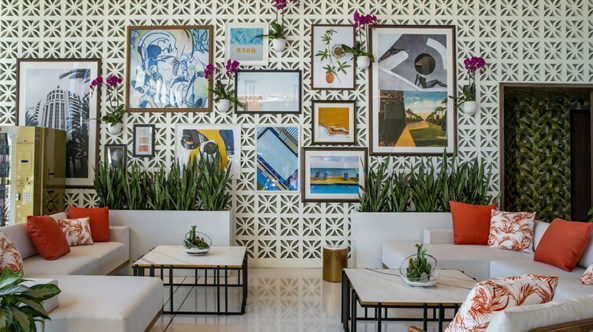 This new 426-room luxury beachfront property in Miami Beach is filled with green features, including reclaimed wood key cards, room glasses made out of custom wine bottles, a giant living wall out front, toiletry dispensers in the showers, reusable socks instead of slippers, terrariums instead of cut flowers and clothes hangers made out of recycled paper. Rooms at 1 Hotel South Beach have reclaimed driftwood lining the walls, ocean views, custom hemp-blend mattresses by Keesa and 100 percent organic cotton sheets. Seven dining outlets serve farm-stand-fresh food. Guests can take a complimentary ride in one of the Tesla premium electric vehicles. The property also offers 25,000 sq. ft. of meeting space. This Georgia resort, one of many environmentally progressive Starwood Hotels & Resorts properties, was awarded Green Seal Silver level certification, one of the highest environmental designations in the hospitality industry. In order to receive certification, a hotel must meet and adhere to stringent guidelines set out by the standard in waste management, energy efficiency, water conservation, wastewater management and green procurement. Low-flow showers and faucets have been installed throughout the resort. The restaurants are stocked partly by purchasing local seafood and organic vegetables, and using herbs grown at the onsite herb garden. Sustainable meetings include the use of white boards, bulk condiments and energy-efficient digital signage. Other features include eMenus, eProposals and digital contracts. The Westin Savannah Harbor Golf Resort & Spa offers 403 guest rooms and 80,000 sq. ft. of indoor and outdoor meeting space. Nestled in the heart of Yountville, California, Bardessono is one of only three hotels in the United States to have achieved LEED Platinum certification. The building was created using nontoxic, nonallergenic materials and salvaged wood. The 940 solar panels on the rooftops satisfy much of the property’s electrical needs. An underground geothermal system heats and cools the 62 guest rooms, spa and hot water supply, thereby eliminating the need for offsite energy. Occupancy sensors in guest rooms help decrease energy consumption. Everything in the rooms is designed with sustainability in mind, including organic linens and cleaning products. The luxury property’s Lucy Restaurant offers dishes made from farm-fresh ingredients. Bardessono has 1,665 sq. ft. of indoor meeting space and more than 4,000 sq. ft. of outdoor space. Located three blocks from Taos Plaza, this secluded 84-suite property in New Mexico harmoniously coexists with its natural setting. It’s surrounded by towering mountains, fish-filled streams, tropical flora and calming waterfalls. The eco-conscious spa at El Monte Sagrado Living Resort & Spa, Taos features treatments using indigenous, organic plants, flowers and minerals. Many of the 10 treatment rooms provide a sunlit shower and natural waterfall cooling system. Award-winning De la Tierra Restaurant features global and local fresh menu items and ingredients. The Sacred Circle, an event space, is surrounded by waterfalls, ponds and towering cottonwoods, and the Taos Mountain Lawn can accommodate receptions for up to 400 people. Altogether, El Monte Sagrado has 7,000 sq. ft. of meeting space. This luxury Wyoming property is a one-hour drive south of Yellowstone National Park and 1 mile from the entrance to Teton National Park. It takes pride in offering an ever-evolving set of sustainable features. “From energy-saving LED light bulbs to aluminum water bottles and handy water stations for refills, Hotel Terra is committed to creating a luxury hotel experience within an eco-friendly environment.” says Tyler Barker, area general manager for Hotel Terra Jackson Hole and Teton Mountain Lodge & Spa in Wyoming. The 132 guest rooms and suites provide everything from radiant floor heating and all-natural Terra Beds to in-room recycling and chemical-free cleaning products. The fair-trade coffee and organic bath amenities, among other features, illustrate a sustainable policy well above the norm. Green consciousness also extends to meetings and events, with Murie Ballroom, Albright Room and Craighead Boardroom designed to take full advantage of the views and natural light. Together with Murie Patio and Infinity Pool Deck, they provide 6,000 sq. ft. of meeting space. This 61-room property is situated on a mile of sandy beach in Elizabeth, Maine, a 15-minute drive from Portland. It blends understated elegance with sustainable amenities, including recycled paper key cards, recycled sheet rock, bamboo towels and a pool heated with solar panels. Inn by the Sea’s guest rooms are cleaned with nontoxic Green Seal products and include natural amenities, packaged in recyclable containers and displayed on recycled glass trays. The property’s sheet and towel program helps fund habitat restoration for bunnies. Rauni Kew, the property’s green program manager, described some other green features. Inn by the Sea has 2,000 sq. ft. of meeting space. This hip North Carolina property has been a pace-setter for sustainability. The first LEED Platinum certified hotel in the United States, it boasts innovative design and several energy-saving features. “I would have never believed that we could use 39 percent less energy and 33 percent less water without one iota of compromise in comfort or luxury, and with minimal additional construction costs,” says Dennis Quaintance, CEO and chief design officer for Quaintance-Weaver Restaurants and Hotels, which operates the property. All of the 147 guest rooms and suites at Proximity Hotel Greensboro include custom furnishings and natural light coming from 50-square-foot windows. Proximity’s 7,000 sq. ft. of meeting space includes Weaver Room, an airy, well-lit room that accommodates 200 for a reception and 156 for a sit-down dinner. It offers wonderful vistas of Bluebell Garden and 2.5 acres of natural habitat. Several convention centers in the United States also are widely recognized for their sustainability efforts. One of them, Oregon Convention Center (OCC) in Portland, is the largest convention center in the Pacific Northwest, offering 255,000 sq. ft. of contiguous exhibit space, 50 meeting rooms and two grand ballrooms. It’s also a longtime leader in green building and other environmentally responsible business practices. In 2004, OCC became the first convention center to earn U.S. Green Building Council’s Leadership in Energy and Environmental Design (LEED) for Existing Buildings certification. In 2014, OCC reached its greatest milestone by earning LEED Platinum, the highest level of certification. That same year, it earned APEX/ASTM certification, the first standards created uniquely for green meetings and events. OCC offers an extensive waste recycling, composting and food donation program, has upgraded 70 percent of its lighting fixtures and manages storm water through an innovative rain garden. Recently, more than 6,500 solar panels were installed on OCC’s rooftop, making it one of the largest solar arrays on a U.S. convention center. The panels are now fully operational and expected to produce 25 to 30 percent of the center’s electricity. • Upgrading more of its lighting and mechanical systems. • Researching the benefits of adding a storm water treatment facility. • Training its staff about additional green practices. • Educating others in the community about sustainability. Visitors mingle under mature trees with wide-reaching branches, enjoy water walls stretching more than 100 feet long and stroll past lovely plants in this artfully designed park. It’s easy for them to forget that they’re in the heart of the ever-buzzing Las Vegas Strip, with its gigantic casinos and lavish entertainment. This new area, aptly named The Park, provides a respite from all the glitz and glamour. The landscape design utilizes native and desert-adaptive species of plants that can thrive in hot and dry environments, with minimal water. Some of these plants also help to cool guests. Sustainability practices are an essential part of The Park, which already has gained recognition for its efforts. It received the South Nevada Water Authority’s 2016 Water Hero Award for its water conservation practices and LEED Gold certification for its restaurant corridor. T-Mobile Arena, part of The Park complex, is pursuing LEED Gold certification. The 650,000-square-foot facility, which hosts a wide variety of events, can accommodate up to 20,000. The Park, which opened April 4, also features restaurants, iconic art and entertainment. It’s located between two MGM Resorts International properties—New York-New York Las Vegas Hotel & Casino and Monte Carlo Las Vegas Resort and Casino. I visited The Park in July, on a day when the temperature soared to 113 degrees. I met with Cindy Ortega, senior vice president and chief sustainability officer for MGM Resorts International, at Beerhaus, an unpretentious beer garden featuring sustainably raised farm-to-table meats and craft brews. We then toured the outdoor area as she explained one of the purposes of The Park. Ortega feels that The Park’s emphasis on the outdoors addresses a growing trend in the meetings industry. While The Park is great for socializing, she hopes that attendees—as well as other visitors and locals—also will be educated by The Park’s sustainable efforts.